A TPV developer meeting took place on Friday March 14th. The core items discussed in the meeting are reported below, with timestamps in the relevant paragraphs indicating the point at they are discussed in the video embedded here. My thanks as always to North for the latter. [0:01:37] The list of release candidates in the release channel remains unchanged from part two of this week’s projects updates, and as per my Current Viewer Releases page. A threading problem that at least manifests when there are various FmodEx things going on, but is not strictly speaking an FmodEx problem. We think that was a good and important fix, but it doesn’t seem to have done all we hoped it would do yet. Whether or not this is a fix TPVs would need to implement quickly or not is down to how they have implemented FmodEx. [0:02:38] The Voice RC is essentially the release viewer with the Vivox 4.6.x SLvoice plugin packaged with it for Windows and Mac. Commenting on in from a Mac perspective, Oz Linden indicated that it does appear to solve a number of issues, such as working with an iPhone headset adaptor, which was an issue with earlier versions, as well as addressing some Mavericks related issues. [0:11:11] There has been some confusion over the latest SDK supplied by Vivox, in that only the Windows and Mac versions of 4.6.x have so far been supplied; the Linux version is still an older version. It’s unclear as to when the Linux Vivox SDK will be supplied, as this is apparently seen as a “lower priority” compared to Windows and Mac, although the Lab is working on Vivox to try to improve matters. The Lab is also working to try to get 64-bit versions of the Vivox SDK, which could then be made available to those TPVs building 64-bit versions of their viewers. There’s a bunch of refactoring of things that people decided needed refactoring as a part of the process [and] which may or may not have been strictly needed as [a] part of interest lists; that is, part of the functional change that that branch is doing. Some of it was a new trace capability that’s used in a bunch of places where they wanted to take the measurements they wanted to take about it. There have been various stability issues with the interest list RC, hence why it has remained an RC rather than being promoted to the de facto release viewer. However, it is now reaching the point where its stability is comparable to that of the other RCs in the release channel – and is actually better than some. In terms of merges, there is the potential for the interest list viewer to cause TPVs some problems, as there appear to be changes to llCommons and other libraries which are causing issues for those TPVs which have attempted a merge. [0:04:53] The Google Breakpad RC is due to make another appearance, as a “bunch of issues have been wrestled to the ground”, and the hope is that when it does appear in the release channel, it will mark the last round of updates for that particular project, and those TPVs using Google Breakpad are advised to take a look at what the Lab has done. [0:04:10] Overall, it appears as if none of the RCs are performing as well as the Lab would like them to be in terms of crash rates. It had been hoped that the FmodEx Hotfix RC would get the Lab back below what Oz referred to as “an acceptable, if not admirable, crash rate”, but it has not done so as yet.However, the other RCs in the channel should see updates released in week 12 (week commencing Monday March 17th), one or more of which may improve the crash rates. [0:43:56] In terms of what does get promoted next, the most likely candidate will be the RC which shows clear evidence that it is reducing the crash rate compared to current levels across the release and RC viewers. [0:05:27] In the meantime, because of the volume of RCs sitting in the release channel, the Lab are holding back a number of further RCs,. These include the Project Zipper (faster installer) viewer being updated to RC status, and the group ban viewer (although there are bugs in this which are still being worked upon). There is also likely to be a further Snowstorm RC appearing with a mix of code contributions, again once the number of viewers currently in the release channel is thinned-down a little. [0:16:32] Ongoing Cocoa related issues for Mac users are seen as a major sticking point for some TPVs. However, while specific issues with Cocoa are being addressed by the Lab, there is not actual project team focused on resolving these problems. This is in part due to the relatively small number of Mac developers within the Lab, all of whom are already engaged on various projects. During the meeting, there was some discussion of the relative severity of the Cocoa issues, and how they are perceived. It is thought that around 6% of all SL users are on Mac and may be experiencing problems. Taken as a whole, this may seem a small number, but for any individual viewer offering a Mac flavour, it could amount to a fair number of people; and it is potentially certainly not fun for those who are using Mac systems and are experiencing problems. 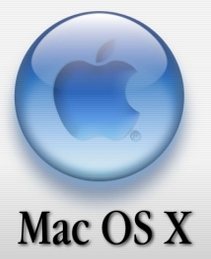 The Lab’s recommendation to those who are experiencing problems with Mac OS in general and who are running older versions of OS X, and who are in a position to do so, is to update, citing the fact that those running 10.8 and 10.9 have significantly lower crash issues than those on earlier versions. Further to this, it was indicated that while there are no immediate plans to do so, it is likely that the Lab will stop actively supporting OSX 10.6 at some point in the future. This does not mean that they will block 10.6; rather, they will stop addressing 10.6-specific bugs and issues. In the mean time, Oz has offered to take usable details of specific Mac-related issues provided by TPVs which he’ll then pass on to those dealing with issues and problems – although what actually gets taken-up and fixed is not down to him. [0:06:00] A concern the Lab had with the Oculus Rift viewer was that if they simply put it “out there” as an ordinary project viewer, people would start downloading it and using it in “Riftlook” mode regardless of whether or not they have an Oculus Rift headset (which will display a stereo image on a monitor screen) and then start highlighting what they perceive to be problems with the UI, etc. Hence the decision was made to put the viewer into the hands of those who could most practically comment on it – those with a development headset – as a closed beta programme. As a side note, initial reports on the Lab’s beta “Rift viewer” have been filed by Harvey Crabsticks and Loki Eliot . Windows users running older versions of windows will therefore need to ensure their OS is up-to-date. [0:29:47] While the stats show that 64-bit versions of various viewers are lower than those of their 32-bit equivalents, this may still not be sufficient for The Powers That Be within the Lab to give the nod for LL-developed 64-bit viewer versions just yet, although there is a swing towards favouring 64-bit builds within technical circles at the Lab. [00:00] Many will have noticed that with the change to Daylight Saving in the USA on Sunday March 9th, Second Life Time was, for a while, out-of-synch with PST. While an adjustment was made and the time correctly adjusted, the means for doing so was apparently a workaround, rather than a fix. The actual fix itself is still being worked on within the Lab, and Oz is one of those working on it, as he revealed at the start of the meeting, after having his leg being gently pulled for a slightly late arrival! [0:32:14] Oz continues to work on developing new stats reports, but is still not in a position to offer consistent hardware and other reports that he’s hoping to develop. [0:36:53] There is a discussion of Group Bans and some of the issues with the viewer, all of I’ve covered in previous reports. At the end of the meeting there is a discussion among TPV developers about issues some TPVs have experienced with anti-virus software flagging their downloads (and even blocking their servers). Those who have encountered issues with viewer downloads on the basis of a/v reports / flags, may wish to listen to this. 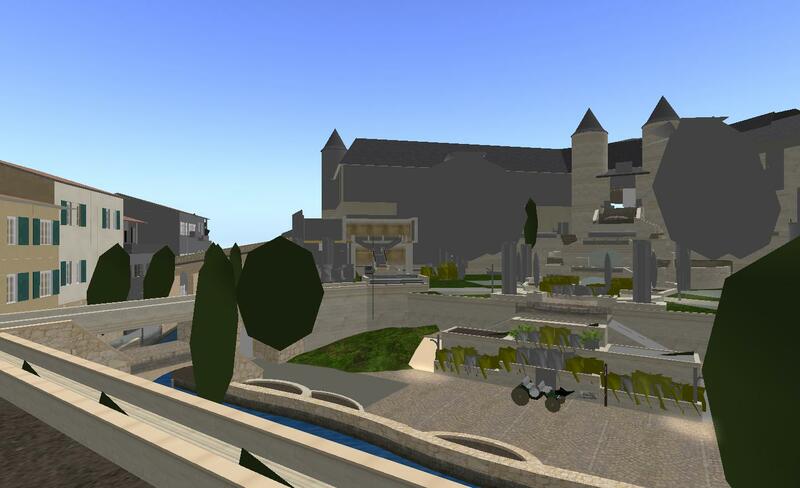 Compte rendu d’une réunion entre Linden Lab et les créateurs / gestionnaires des autres viewers.